Looking for a USED CT400? The CT400 is a medium size CNC EDM drilling machine. The moving bridge design allows for extended Y axis stroke and the large worktable area can accommodate over-sized parts or a tilt-rotary table for 5 axis applications. Bridge columns are easily exchanged to raise or lower drilling head height. 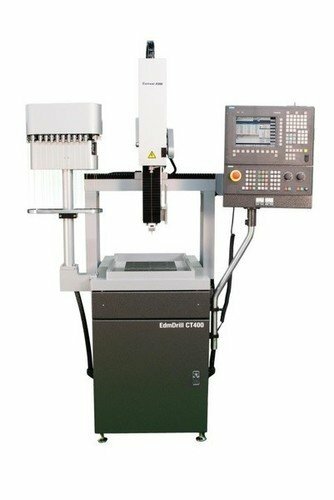 Looking to Purchase a New CURRENT EDM CT400?